There are so many reasons to be excited about this year’s JASNA AGM. It focuses on Mansfield Park, which is a brilliant book, it’s in Montreal, which is a fabulous city, and, like all JASNA AGMs, it’s an opportunity to analyze and celebrate Austen’s writing with a wonderful group of very smart people. 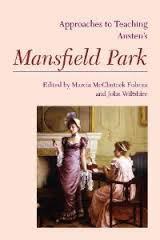 I’m delighted that I get to introduce Marcia McClintock Folsom’s talk on “Teaching Mansfield Park in the Twenty-First Century: New Contexts, Controversies, and Opportunities,” in which she’ll tell us about the brand new MLA volume Approaches to Teaching Austen’s Mansfield Park. (You can read about my contribution to the volume here.) And I’m delighted to be introducing the breakout session Natasha and her husband, Frederick Duquette, are doing on Saturday afternoon: “Fanny Price Amidst the Philosophers.” The details about the schedule are on the AGM website. It’s going to be a busy weekend, and I’ve mentioned only a few of the highlights here. I want to tell you a little bit more about one of the exciting special events at the AGM. Diana Birchall and Syrie James, who are both contributors to “An Invitation to Mansfield Park,” have written a play called “A Dangerous Intimacy: Behind the Scenes at Mansfield Park,” which will be performed on Friday evening. Tickets are still available. 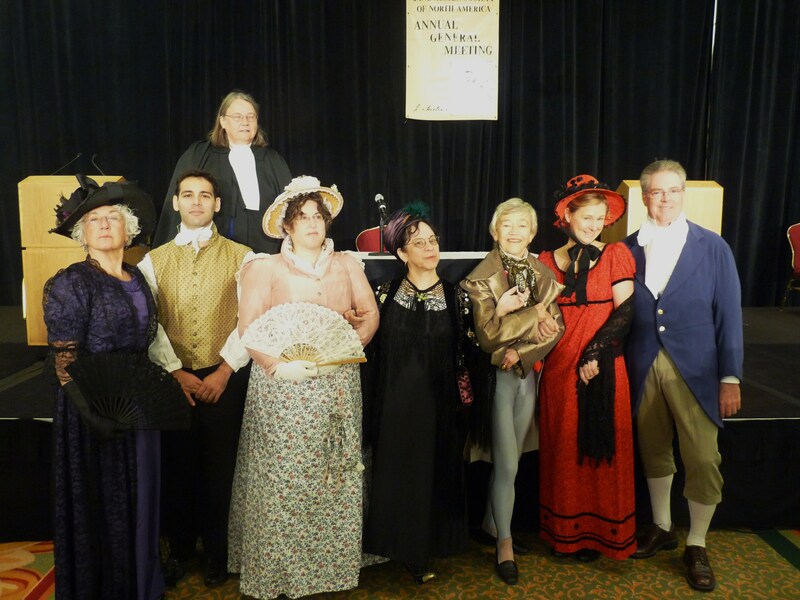 This is the second staged reading Diana and Syrie have collaborated on for a JASNA AGM – the first was the popular “Austen Assizes,” which was performed at the 2012 AGM in New York City. You can read more about the “Austen Assizes” and watch some of the highlights on Syrie’s website. Diana tells me the cast for “A Dangerous Intimacy” consists of “prominent Janeites with a turn for acting,” and Syrie promises the play will be very funny. The cast of the “Austen Assizes” play. Thanks to Diana for the photo. 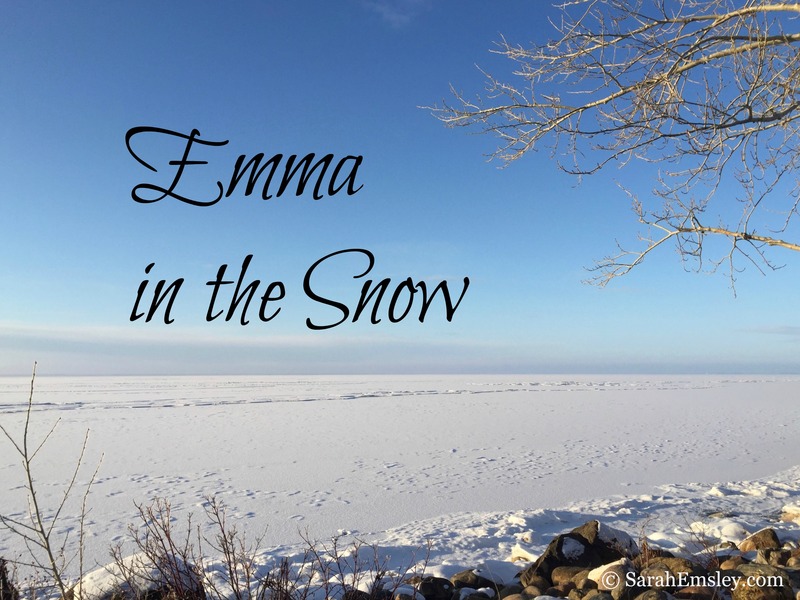 If you’ve been following “An Invitation to Mansfield Park” for a while, you’ll remember Diana’s guest post, the beginning of a short story called “The Scene-Painter,” and if you want to find out what happens next, you’ll want to read tomorrow’s blog post, which is Part Two of the story. 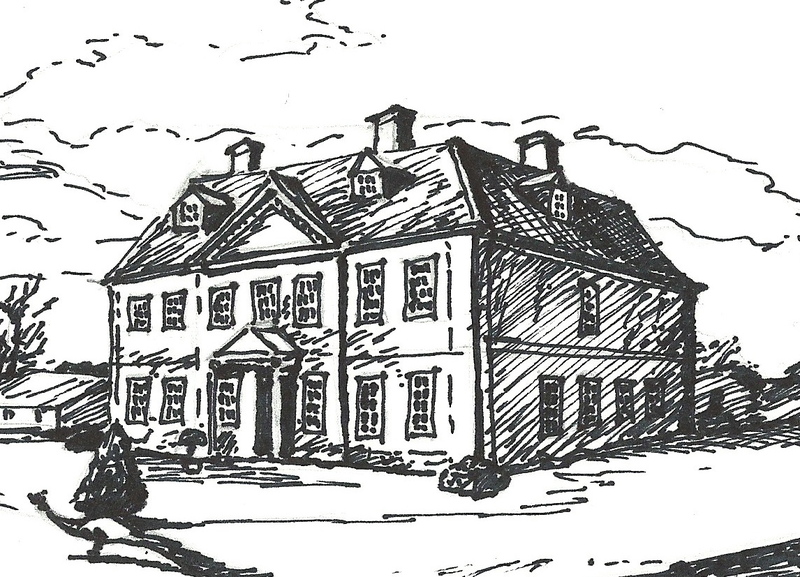 Diana expands on the brief references Austen makes to the minor character who comes to Mansfield Park to paint scenes for the performance of Lovers’ Vows, and leaves having “spoilt only the floor of one room, ruined all the coachman’s sponges, and made five of the under-servants idle and dissatisfied” (Chapter 20). You can read (or reread) Part One here. Stay tuned for Part Two! 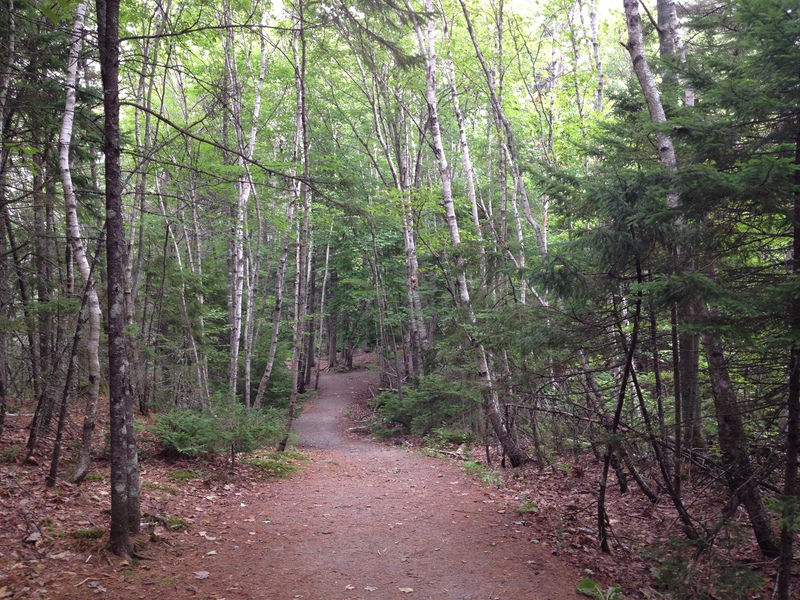 I know many of you who’ve been reading and commenting on these guest posts will be in Montreal for the AGM, too, and I’m looking forward to seeing you soon! Please come and talk to me at our breakout session or the authors’ signing event, or any time over the weekend. My secret plot to make the Mansfield Park celebrations extend well beyond the October long weekend is working, thanks to all of you, and I’m glad we get to continue the party even after the AGM ends on Sunday. I’m also glad that the blog makes it possible for those of you who aren’t going to Montreal to participate in some of the celebrations of this amazing novel. Thank you for reading, for commenting, for sharing these posts with your friends, and for accepting the invitation to what is definitely the biggest – and longest-running – party I have ever hosted in my life. What a lovely post! I so look forward to seeing everyone in Montreal in a few days. Thank you, Sarah, for being such a gracious host online, and thank you, Elaine, for inviting us all to your home city for the best conference ever on Mansfield Park! Thanks, Elisabeth! Looking forward to celebrating MP with you in person. It’s going to be a great weekend.